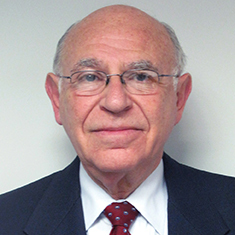 Samson Helfgott has practiced for over 40 years in domestic and international patent, trademark and copyright matters, international patent strategy and patent and trademark administration, before US and foreign patent tribunals. He is a prolific writer and lecturer, who is frequently published in the area of US and international prosecution and litigation pertaining to patents and trademarks, among others. He speaks Hebrew and German. A widely acclaimed lecturer, Samson served for many years as the coordinator of an annual program on Global Intellectual Property for the Practising Law Institute. He has lectured at all the major US Bar Associations, including the American Bar Association (ABA), the American Intellectual Property Law Association (AIPLA) and the Intellectual Property Owners Association (IPO), and in Europe, Japan and the Middle East. Samson has also lectured for Law Seminars International, World Intellectual Property Organization, National Association for Patent Practitioners, American Conference Institute, Half Moon LLC and others. He lectures at the annual American Intellectual Property Association's Patent Cooperation Treaty Seminar and the annual Practice Prosecution Training Program. Samson has authored The Practitioner’s Guide to the PCT, published by the ABA. He writes the quarterly news article on international intellectual property matters for the American Bar Association IPL Landslide magazine. He is also coordinator of the International IP List Serve for the ABA, and an advisory board member and contributor to World Intellectual Property Report, BNA International, Inc., London, England. He represents The Intellectual Property Organization at the Industry IP5 Meetings and the Industry Trilateral Meetings. Shown below is a selection of Samson’s engagements. Guide to Selecting Foreign Countries for Patent Coverage, Introduction to Patents Throughout the World, 3d ed. The Declining Use of Patent Oppositions, IIC-International Review of Industrial Property & Copyright Law, Max-Planck Institute for Foreign & International Patent, Copyright and Competition Law, Vol. 16, No.